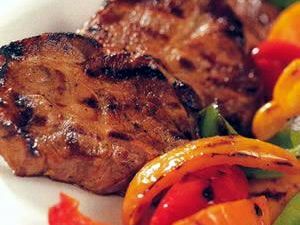 Boneless and rindless, these pork loin steaks are a great value product as there is virtually no waste. Taken from the eye of the loin chop and with the small tail end remaining, it is a very moist steak. The professionals' choice of all the pork cuts, it eats well, its' presentation is attractive, plus they are great value for money. No related products for the Pork Loin Steaks. No key features selected for the Pork Loin Steaks. No quantity discount for the Pork Loin Steaks. Be the first to submit a review for the Pork Loin Steaks.